Every once in a while I watch a movie that is more than just a film with a chase scene. Some movies actually center around motor sports or cars in general. This is a list of those movies with my impressions of them. These are only my opinions and I’m no movie critic, so take what you read here as you see fit! Movies are listed chronologically by the date when they were released. Speed is a delightful movie that should interest both men and women. Jimmy Stewart’s efforts are a strong point of the film as they typically are and his character is lovable despite its flaws. Even the writing in this one is well done and after all these years might still surprise some viewers with something “new” in the story. There are more than enough amusing scenes to keep anyone interested, my favorites being in the first half. 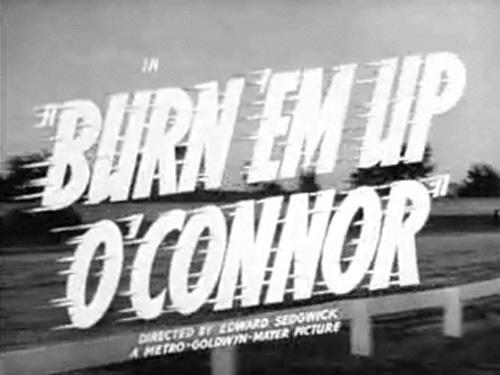 One attraction in this film is the handful of scenes which take place in a tour of a car company’s production facility. You see dozens of shots of machinery and men in action, pressing body panels, drilling engine blocks and more. The scenes at Bonneville are a bit silly but otherwise the movie is solid and for the most part believable. The racing scenes are generally done well and much of it appears to be stock footage from actual races. I give Speed two thumbs up. The storyline in this one is pretty cheesy as are the characters. The main character in the film is supposed to be entertaining, lovable and funny, but I found him incredibly annoying. Fortunately the character undergoes some positive development by the end and is more likable. ‘Speed” which leads me to believe it was simply stock footage of a real race. The movie has its moments and is worth a watch if you have nothing better to do. Don’t look for a lot of reality in this one, especially at the end of the big race. This film is a remake of “The Crowd Roars”, first released in 1932. It even uses some of the same actors and footage as the original. 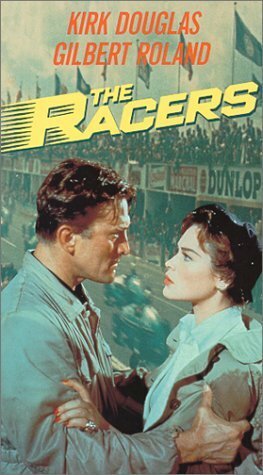 Although it springs into action with auto racing in the opening scene, there isn’t a lot of noteworthy car content in this film apart from the usual racing clips and rear projection special effects. The acting is good but the story is typical and for the most part predictable. You may find one or two “laugh out loud” moments between the more mundane scenes. At times it felt like two different movies served out as one. There is plenty of car-related content and lots of driving scenes, but nothing that really got my heart pumping. This film starts out a bit slow but develops nicely as it goes along. It is worth watching if for no other reason than the incredible Indy racing footage in the second half. The movie is filled with great cars both on and off the track. The characters are a bit over the top, but not beyond what was typical in those days. As with most movies of the era, the special effects leave a lot to be desired. 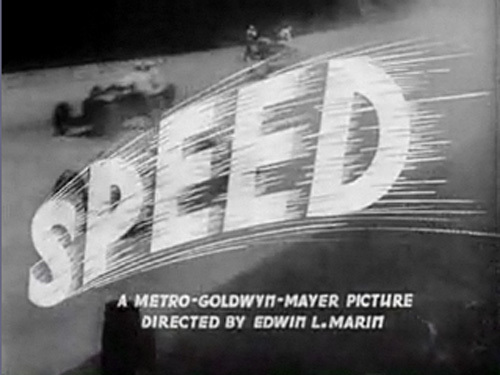 The in-car racing scenes are the typical “I Love Lucy” style where a car is placed in front of a screen and racing footage is projected behind it. 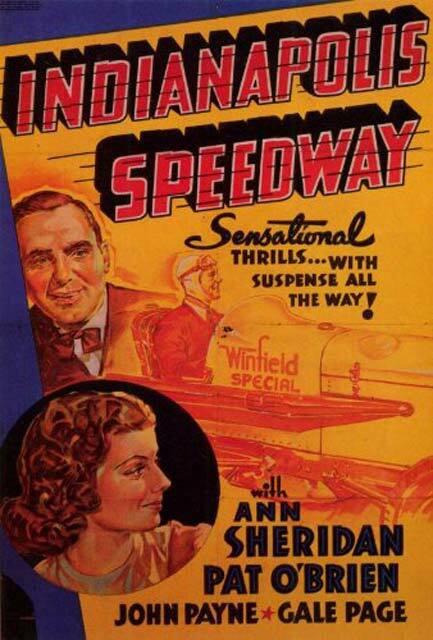 As bad as it always looked, the filmmakers did a very good job portraying a feeling of speed and Clark Gable put on a good act to make it more believable. The car’s movements as they slide around turns was much better than average. Despite the movie’s shortcomings, I recommend it. Bad acting and a cheesy plot would ordinarily be enough reason to avoid a movie, yet somehow this one kept me watching all the way through. If you like amateur European rally racing in the 1950’s then you might actually enjoy this one. It really is pretty bad as far as movies go, but the star of the show for people like me is the MG TD driven by the star and his two children in a mountain rally. Adding to the ‘what are they thinking’ aspect of this film is the two kids stuffed into the car (no seat belts and one kid stuffed in the back where the top folds down) while their father races at breakneck speeds through alpine mountain roads. There are the usual bad guys and of course good guys, plus lots of silly things thrown in that have no reason to be in the movie other than to try and make it more interesting. If it wasn’t for all the racing, which mainly focuses on the TD itself, then I would never have made it through the whole thing. The last laugh comes at the end of the big race. I won’t ruin it for you but once you’re finished watching the movie, think back to the final stretch of the big race, what cars were there and who won. It’s a silly thing but actually makes it all more fun, in my opinion. This movie was released at a time when sports car racing was taking off in America, but most people had yet to learn what it was all about. The producers cashed in on this by releasing a film showing glimpses of the European Grand Prix circuit and the people who raced there. This had never been done before but the gamble seemed to pay off, as racing fans from all over flocked to the theaters to see sights, sounds and machines they had never seen before in glorious color and stereo sound. The movie itself leaves a lot to be desired. The cars are wonderful, from the Alfas Ferraris and Maseratis right down to the buses and estate cars filling the parking lots. But the film is a bit dry and predictable, with (in my opinion) mediocre directing. The beginning is downright awkward, as if you had missed twenty minutes of the film. The movie is based on a book that is reportedly pretty good, but the adaptation to film is quite lacking in the writing department. Getting past all that, there is a lot here for a car guy to drool over. The cars already mentioned are one attraction, and the other is footage from many legendary venues including Mille Miglia, Nurburgring, Monaco and Monza. The in-car scenes are a bit cheesy and not well done, but there is still enough sense of speed and excitement to get your blood boiling at many of the racing scenes. My advise is to watch this one next time it airs, turn up the sound and try not to judge it too hard. When this movie was released, the studio hated it. They released it only to urban areas, fearing it would bomb in the big city theaters. The film was received well, and several years later it was re-released in major cities around the country. The critics there loved it, and the film soon achieved a sort of cult following. My take? I’m with the studio. I will admit that I hoped for more car content but that isn’t the reason it bored me so much. Rather I found it a predictable story with bland characters copied from every other generic movie ever written. I wouldn’t call it a ‘bad’ movie but I’ve certainly seen better. As for the cars, most of what you see is 1950’s American iron with built-up engines. The car chase scenes are a bit drab and the special effects are pretty bad. Expect to see the star in a high-speed chase through a twisty mountain road, while driving a big American sedan with 1500 pounds of moonshine in the trunk, yet somehow handling the curves perfectly with one hand on the wheel and calmly lighting a cigarette with the other. That sums up this movie for the most part. 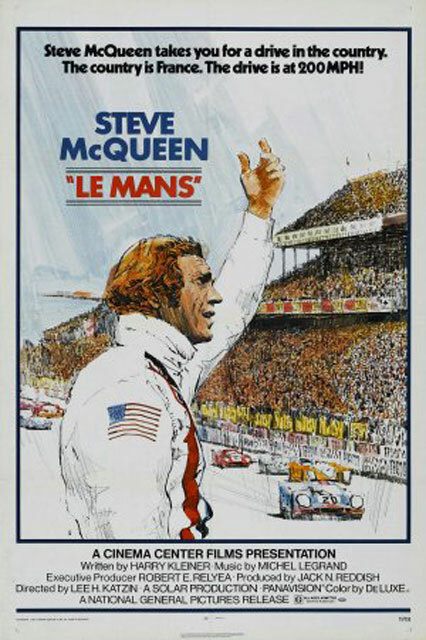 If you’re interested in 1960’s sports car racing, then this may be the best movie you’ll see this year! Even my wife, who started the movie while half asleep found herself wide awake by the end. What makes this one special is not just that the car content is realistic and characters believable. The story is actually pretty good, originally being written as a novel by Jon Cleary. The racing footage in this one is phenomenal, and shows early use of cameras mounted to the nose of the racing cars. Throughout the film you see many great tracks and races including Le Mans, Silverstone, Goodwood, Sebring and Mille Miglia. There is plenty of racing and driving footage showing numerous makes of sports and racing cars. Some examples include Lister Jaguar, Aston Martin DBR1 and 450S, Chevy Corvette, Ferrari 250MM, Jaguar D-Type, Maserati A6GCS Spider and Tipo 61, AC Ace, Triumph TR-3 and even a Gordon-Keeble. Check out more of the cars used in this film by clicking HERE. 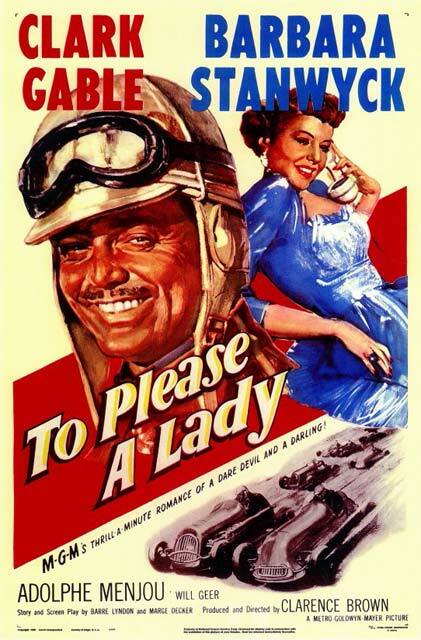 Adding to the “car guy appeal” is the fact that several professional racing drivers were used during filming, and Jack Brabham even played a significant role in the story. 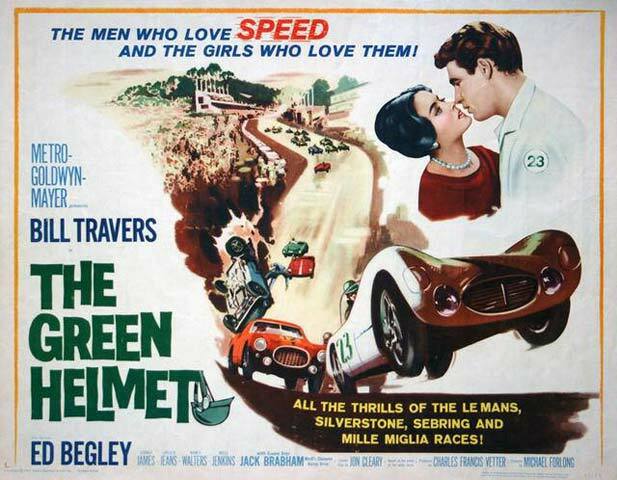 If you enjoy vintage racing from the early 60’s, then you must see this movie! 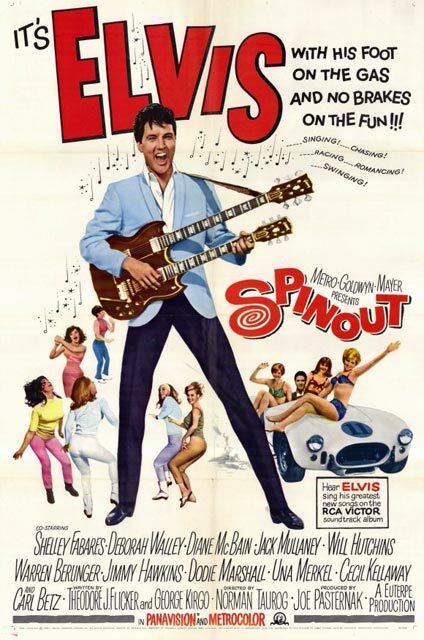 Ordinarily I wouldn’t bother with an Elvis movie since it’s obviously going to be more about Mr. Presley singing than any realism in auto racing. However with a Cobra on the movie poster and an intro scene with a Cobra 427 and Ferarri 250 GT Cabriolet going at it, how could I turn away? Lesson learned once again… go with your gut instinct. After that first (ridiculous) scene, there wasn’t any significant car content for another agonizing hour of Elvis songs which I mostly fast-forwarded through. The “big race” didn’t happen until ten minutes from the end and it was, bar none, the most ridiculous piece of auto racing recreation I’ve seen in my life. This film’s only saving grace (and it wasn’t enough) was the 1929 Duesenberg Model J being used to haul band gear, and the Cobra pulled behind on a trailer. After this glowing review I know you won’t be rushing out to see it so I’ll go ahead and ruin the ending for you. A weakling buffoon who has never raced a car before hops into Elvis’ car at the race start, leaving Elvis running around to find another car to race in. He does, and starts out a couple minutes behind everyone else. One of his many love interests hops into her Ferrari and set off just ahead of him. Somehow the baffoon is leading the entire field despite fishtailing and spinning out constantly, and the young girl in her Ferarri catches the pack and leaves many of the professional drivers and cars behind. At the end of the race, Elvis, the baffoon and another lead male role all cross the line together with no one else in sight. Elvis wins of course. There, I’ve just saved you 90 minutes of torture. You can thank me later. What can I say? It’s an Elvis movie. 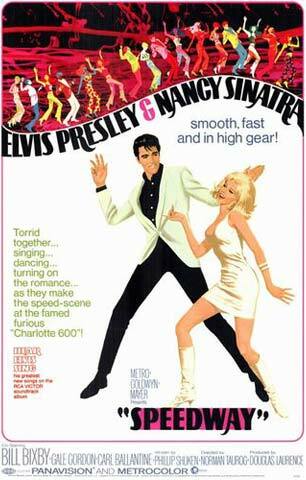 I don’t know what I was thinking when I started watching a movie that I knew not only starred Elvis Presley, but placed him in the role of stock car racer. On the bright side, I wasn’t disappointed at all since I expected a complete waste of film from the get-go. To make things more tolerable I fast forwarded through most of the songs since they had nothing to do with anything except getting teenage girls to buy tickets. Even the handful of professional stock car drivers did nothing to help this shockingly painful film (they had a two-second head shot each), nor did the real racing footage. The movie wasn’t filmed poorly, but a couple of minor details killed it… writing and acting. I suppose if you like late 60’s stock car racing then you could scan through to find the ten minutes or so of somewhat interesting footage, but you’d have to be pretty bored to make it worth the effort. There was one scene for sports car fans, an MG TD pulling away from a wedding with a monstrous trailer in tow. Right. If you’re still thinking of watching this film then let me save you the pain and tell you the story right now… Impossibly nice guy (guess who) with wacky, trouble-prone manager find themselves in debt to the IRS. The beautiful yet stone-cold IRS agent sent to watch them breaks down and becomes the love interest and in the end everyone is really happy. Yep, you’ve seen it before. Here lies a movie with some of the greatest racing footage ever shot, and some of the most useless and dull scenes ever conceived. Countless thousands of men all over the world have seen this movie numerous times, but I doubt more than a handful have actually watched it in its entirety more than once. The joke is that any time you see the lead female character, you fast forward until she’s gone. Sadly, this is a very accurate way to skip over an hour of boredom while viewing the movie. The racing scenes are phenomenal, showing lengthy scenes of real Le Mans racing in the 1960’s. The sights and sounds should please any racing enthusiast and get your blood boiling. Both real and staged footage is used, and is all equally exciting. If it weren’t for the quality of these scenes, I would never recommend the movie to anyone. But as it stands, it’s a must-see at least once. In the way that American Graffiti was a generational film for the 50’s crowd and Easy Rider was for the 60’s, Two Lane Blacktop is for the 70’s. In other words it helps if you were there. Two Lane Blacktop was an interesting watch for me. At first glance it appears to be a dull film with a slow script and weak characters. And maybe that’s what it really is, but by the end of the film I became convinced there is more to this one than meets the eye. 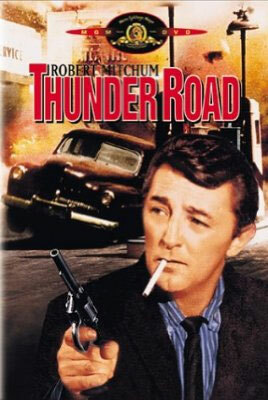 Much of this film is spent watching two guys driving a suped-up Chevy down the highway. They rarely speak, but as you begin to understand the film you realize that the lack of words speak volumes. This is a movie that you could watch with the sound muted and still understand everything. To pull that off is pure genius, in my opinion. I recommend this film to anyone who can just relax, open their mind and enjoy a real-life film that moves a bit slowly on purpose. 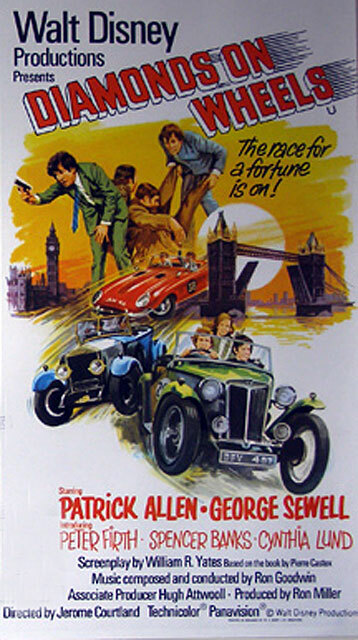 Diamonds on Wheels is a “made for TV” Disney picture shot in England and while it may be a bit cheesy like many others of the period, I found it just as fun to watch as some of the bigger titles. You could say it’s a big screen clash of cops and robbers and amateur rallye racing. And the music in this film is so dated and typical of the period that even if you hate it, you have to love it a little. The star of the show for us car people is the MG TC driven by three youths in a 24-hour rallye. Yes, that’s three people in an MG TC, which is reminiscent of the three people occupying the TD (also in a rallye) in the movie “Heights of Danger”. In this film however, the two boys have fixed up an old TC to use as their first rallye car. If you’ve ever read the book “The Red Car” (a must for any serious car enthusiast, especially young ones) then you may find several similarities in the two story lines. The middle half is fairly heavy on rallye scenes with various cars, mostly from the 60’s, including M.G., Jaguar, Ford and others. The majority of the focus is on the TC however. These were the most fun scenes for me, especially those showing some serious off-roading in the TC which is something you don’t see much of today. Those scenes really show how well these cars handle rough terrain! I recommend this movie for a family or anyone who has ever been interested in owning an MG TC. If you don’t want to drive one after this movie then you never will! (Warning: spoilers ahead) According to IMDB, three TCs from 1947-49 were used for filming. Near the beginning we see a green TC being driven, then later it’s wrecked and hauled out of a ditch in shambles. It’s fair to assume that these were two different vehicles. The third is of course our hero car. 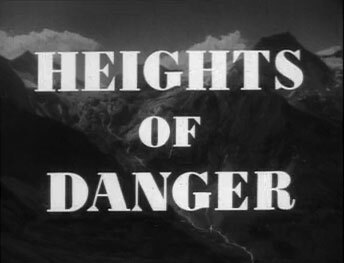 It was also reported that when this movie was shown in the USA, it helped boost interest in TCs for Americans. A precursor to the Cannonball Run movies, this one is a bit more tolerable than its unrelated successors. This is the story of a group of people who take part in a secret and unofficial race across the United States. They have the usual (for this genre) adventures and run-ins with law enforcement. The story is fun and filled with humorous scenes, crazy stunts and slightly over-the-top characters. One of my favorite “car guy” lines comes from this movie. With a line like that, this movie gets automatic “car guy movie” status. The other attractions are the sights and sounds of some great road cars (Cobra, Ferrari, Jaguar, etc) speeding along as they make their way across the country. 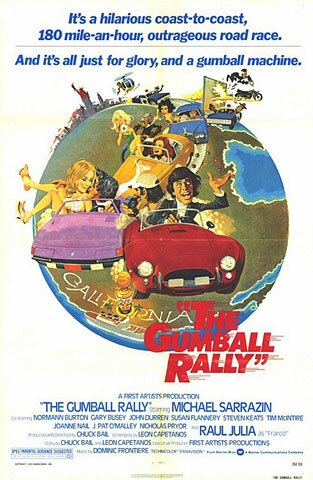 Gumball Rally isn’t the best movie you will see this season, but with its cult status among car enthusiasts it’s worth a watch just to say you’ve seen it. Besides, you may actually like it! Yes, it’s a cartoon. Once you put that out of your head, you get to enjoy one of the best car movies ever made. The characters are well thought out and the voice-over actors do a fantastic job. After watching this movie you will almost certainly have an irresistible urge to get in your car and drive the wheels off of it. Even my mother wanted to take a road trip after she watched this film. 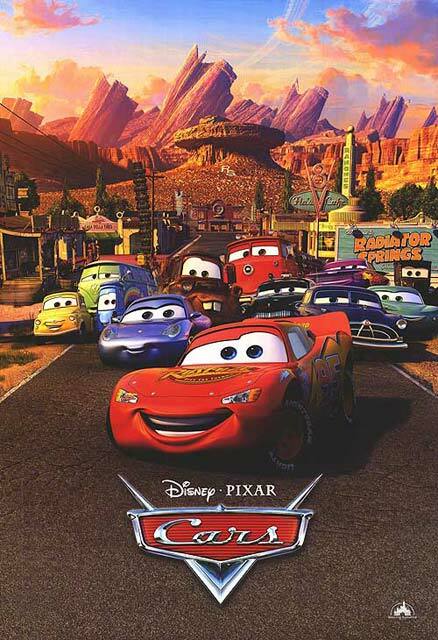 Cars is a movie for the entire family no matter where their interests lie. It has everything from action to adventure, romance to nostalgia, plenty of laughs and one of the most clever scripts I’ve seen. Definitely a two thumbs up rating for this one. Every once in a while you find yourself flipping channels and coming across a movie that you don’t want to watch, but watch anyway and end up wondering why. This is one of those movies. Fast Girl gives the impression of a low-budget movie and it probably was. That isn’t really its biggest problem though. Despite a couple seriously bad actors, the root of my dislike for this movie comes from the serious lack of creativity. The story has been told a thousand times in every format imaginable. To make a movie like this you simply take the most generic story you can find, change the names, location and goals of the character, and start filming. I don’t usually write spoilers but this will be short… Girl wants to be a race car driver, has a fear because her father died doing it, father’s friend tells her she “isn’t ready” but ends up reluctantly coaching her, love interest / pro racer gives encouragement, best driver on the track is a real jerk, and in the end she conquers her fear and beats the jerk on the track. Sounds familiar? Ok, I’ll admit I’m being a bit harsh and despite heavy car content I don’t think “car guys” are the real target audience for this one. The people who may appreciate and actually enjoy this movie are teenagers who don’t know or care about cars, and more importantly have only seen this story told a couple dozen times. I do not recommend this movie for anyone over the age of 20, but do recommend it for kids and teens who are either interested in cars or have parents who want them to be interested in cars. This one was rough to get through. 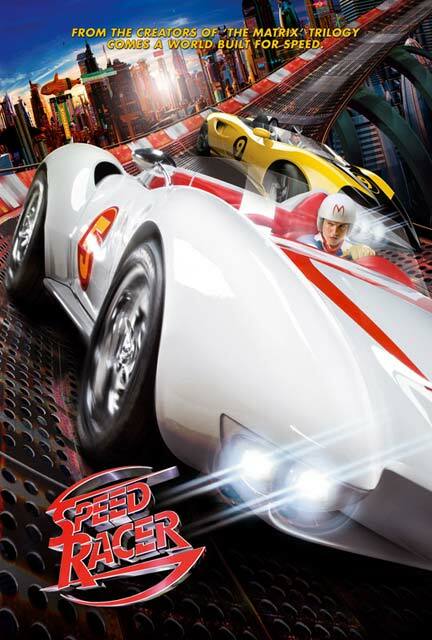 It isn’t just that I hate what they did to the Speed Racer universe that I knew and grew up with. This movie was horrible all on its own. It’s rare that I walk out on a movie but that’s what happened when I tried to get through this festering heap of hippopotamus excrement. The next day I watched the second half only because curiosity got the best of me, so perhaps there was something to this film for a car guy. I will admit that the second half was more tolerable than the first and I nearly enjoyed a few small parts of the racing scenes. Maybe I finally got past the ridiculous gadgets on the cars or the very unimaginative “race track in the sky with no guard rails” part of the film. If you’re into extreme drifting, absurdly unbelievable physics, James Bond gadgets with an outer-space cartoon twist, predictable plots and characters with no thought put into them, all taking place in a world painted horrible rainbow colors with lots of neon lights and retro 60’s styling (the bad parts only), then this might be the movie for you. Just remember when you finish watching it that I told you so. Cars 2 had some big shoes to fill, and in this guy’s opinion those shoes fit a bit loose. The movie wasn’t bad by any means, but after the genius of the first one this sequel left me a bit disappointed. There were plenty of hidden “inside jokes” for a car guy to watch and listen for, but unfortunately the plot was predictable and it just didn’t have the “magic” of the first. 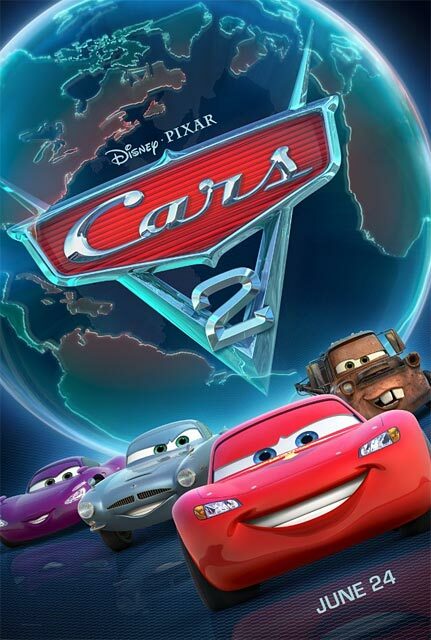 Cars 2 also seemed to suffer a bit from the typical over-marketing that comes to any successful franchise these days but all in all it was still fun to watch once I managed to settle into it. If the first film was a 10 then I would give this one a 7 on a good day.